BELLEVILLE – United Way Hastings and Prince Edward members are encouraging residents to “make the right call” to reduce the number of non-emergency calls made to 911. 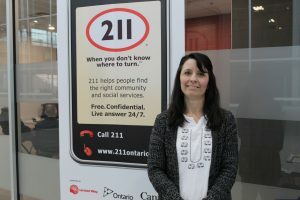 Monday marks 211 Day, a national public awareness initiative that informs people of non-emergency services in their area through the helpline 211. The free and confidential phone and online service can connect users to government, health, community and social services, any hour of the day, throughout the whole year. As of Monday, users can live chat with a 211 specialist online. 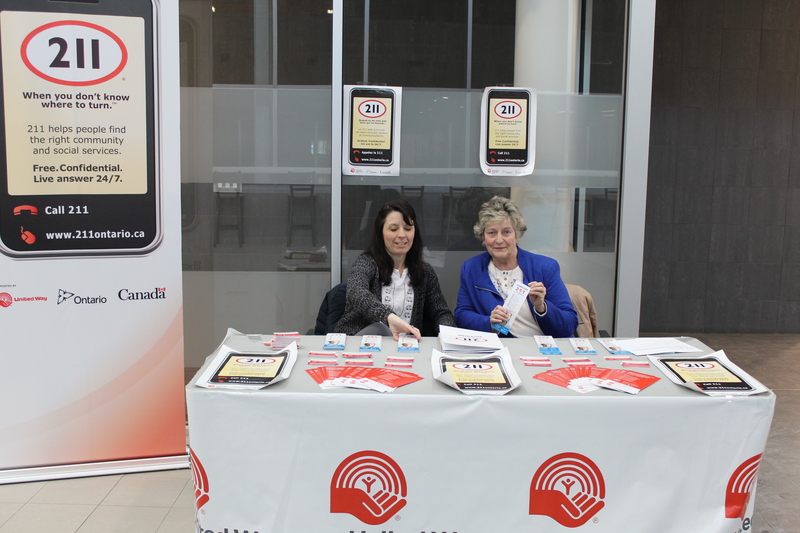 The local United Way is a funder and partner of 211 Ontario. Members of the organization is hosting an information booth at the Quinte Sports and Wellness Centre from 1:30 to 7 p.m. Monday. Making the right call is relieving emergency lines and directing people to the social services and fields they most need, so it makes more sense for people to be able to call the right number, she said. “For example, if they’re in need of financial assistance, the 211 operator will direct their call to one of the organizations or agencies in the area that help deal with financial issues and can set them up and then they can go from there,” she said. United Way volunteer Deanna Dulmage said it’s important to know that the service can be used by anyone. Across Canada, more than 280,000 calls were made to 211 in 2018, according to a media release from the United Way. The top reasons for calling were to get help navigating health, government, housing, and legal and public-safety services, and finding the right helpline or information service. The initiative is supported by the province of Ontario, United Way branches and some municipalities across Ontario. “Ontario’s health and social services are experiencing significant changes, and it is a huge challenge for the non-profit sector to make updated information about programs and services accessible to their communities,” said Karen Milligan, executive director of Ontario 211 services, in the media release. The organizers remind people that 911 calls should be reserved for cases when police, firefighters or paramedics are needed to deal with life-threatening emergencies, when property is in danger, or when a crime is in progress.